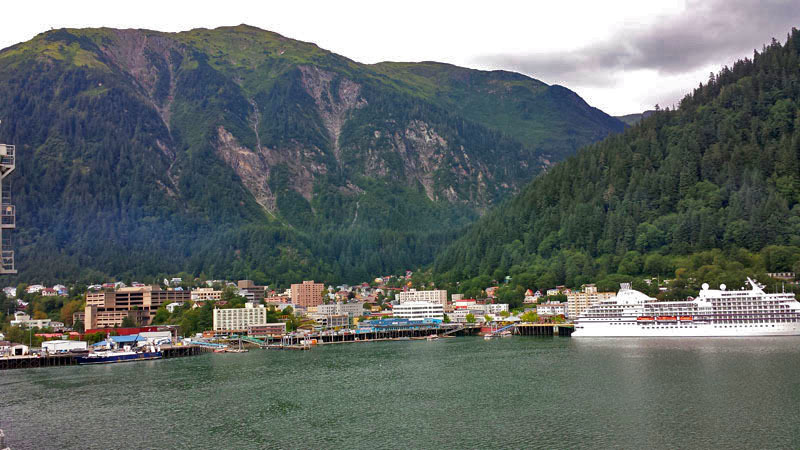 Our Alaskan cruise ship was docked in Skagway, a small, small town up-top the Inside Passage of Alaska. 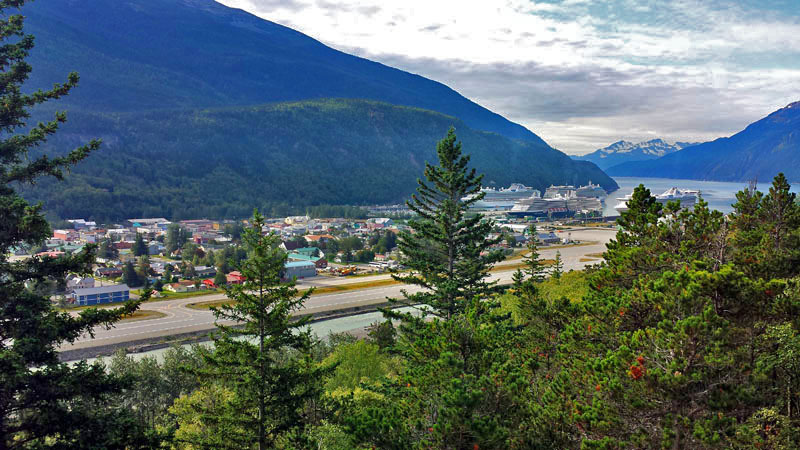 On our way to a rafting excursion we stopped at the Skagway Overlook off Dyea Road. 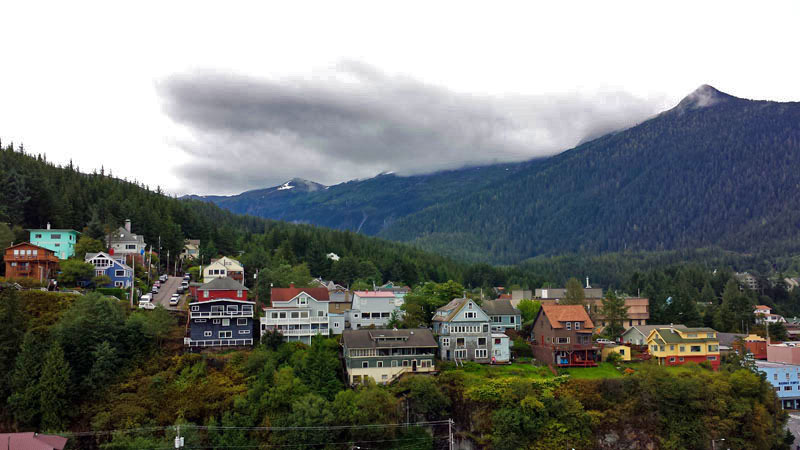 What an excursion of sorts within an excursion we enjoyed while in Skagway, Alaska. 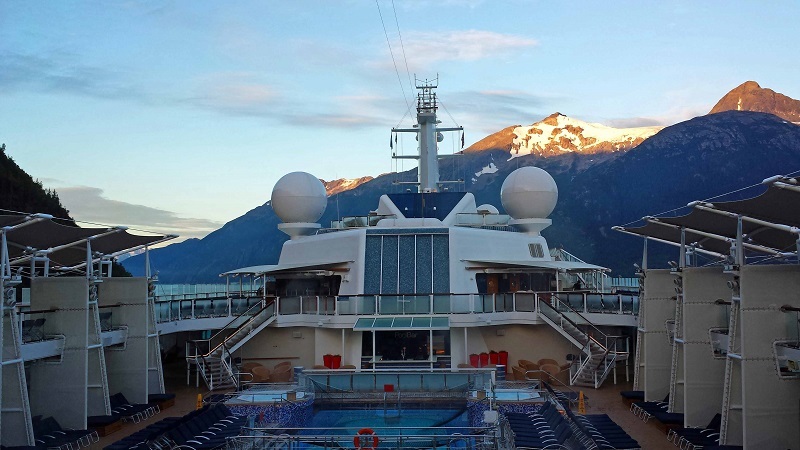 Have you ever had any memorable cruise excursion side trips? 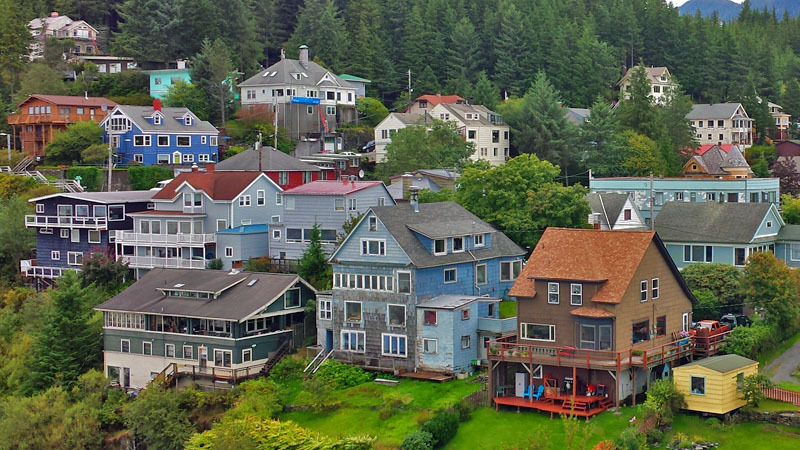 I’ve done big cities so far in the A Million Skyline Looks series. 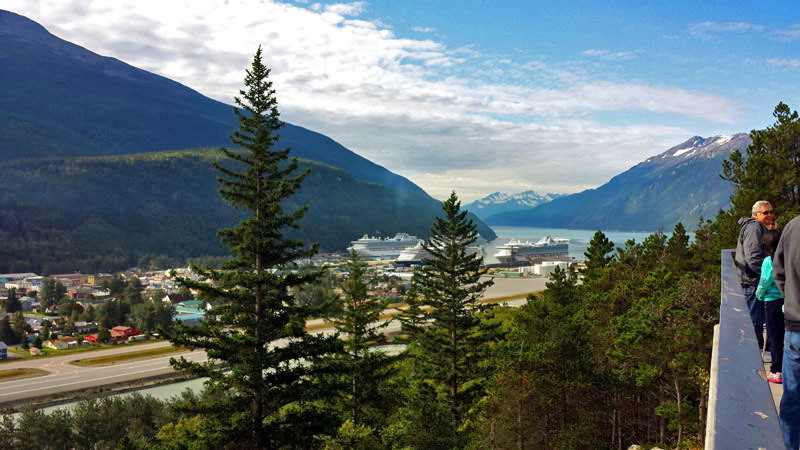 Time to mix things up a bit. 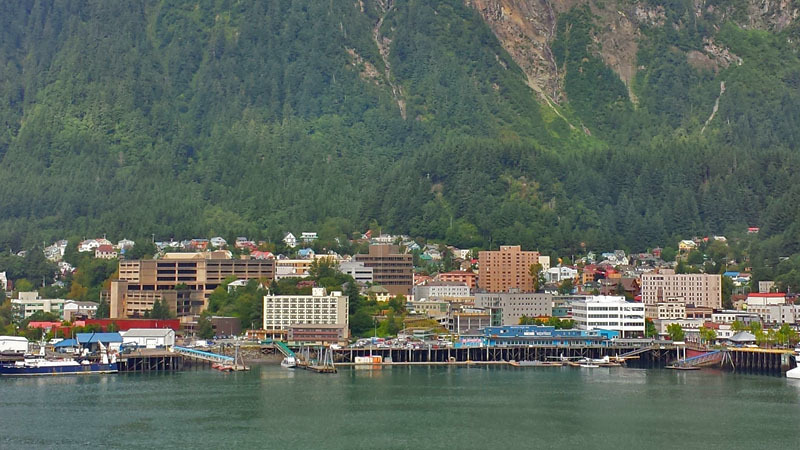 It is time to show off the skyline of Alaska’s state capital in Juneau. 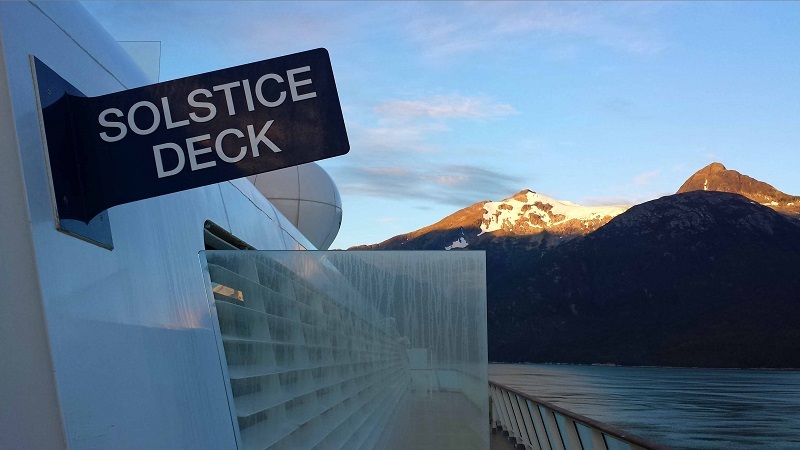 I did so mostly from aboard the Celebrity Solstice during an Alaskan cruise. 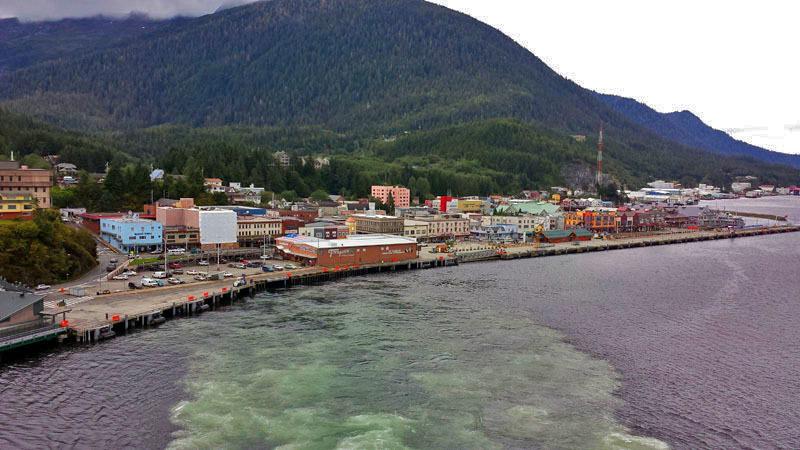 Coming into the popular cruise port, the city’s skyline was front and center. 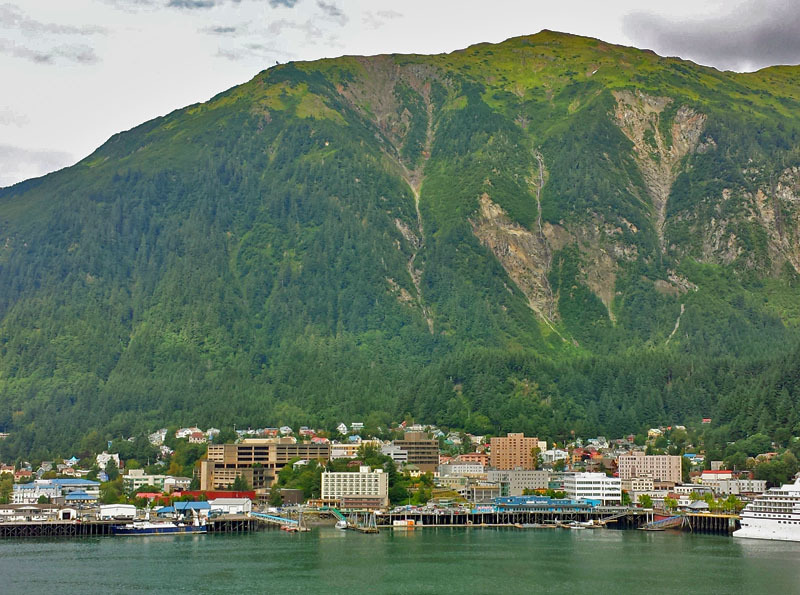 The green, steep and majestic 3,500 foot tall mountains stood right against Juneau highlighted by Mount Roberts. 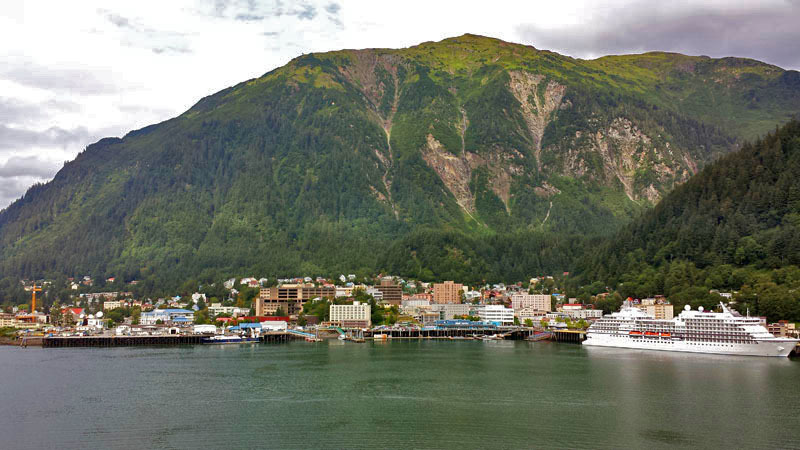 It was hard for me to imagine a better natural city backdrop. 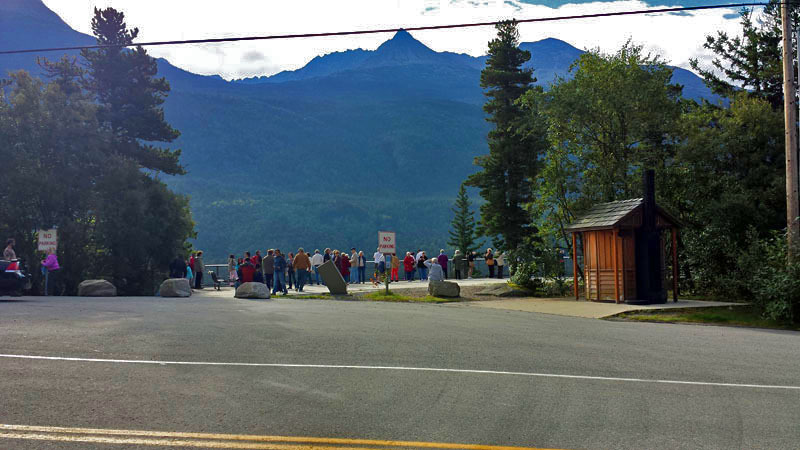 Tip: One thing we wish we would have done was to take the Mount Roberts Tramway. 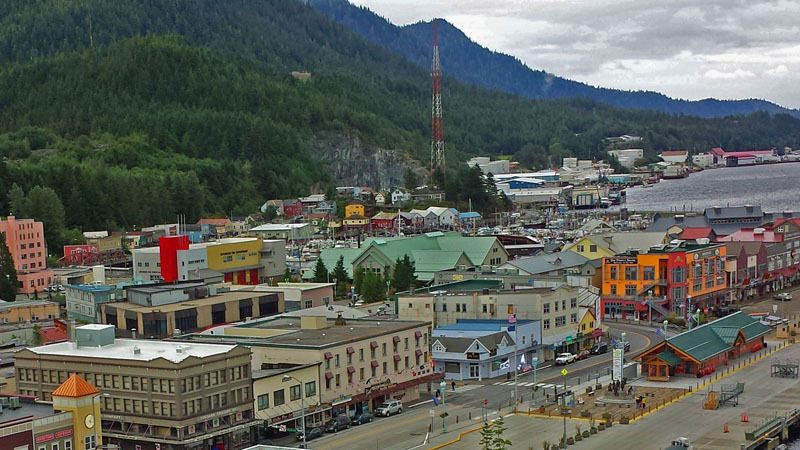 You can view the Juneau skyline and cityscape from way, way, way up-top. 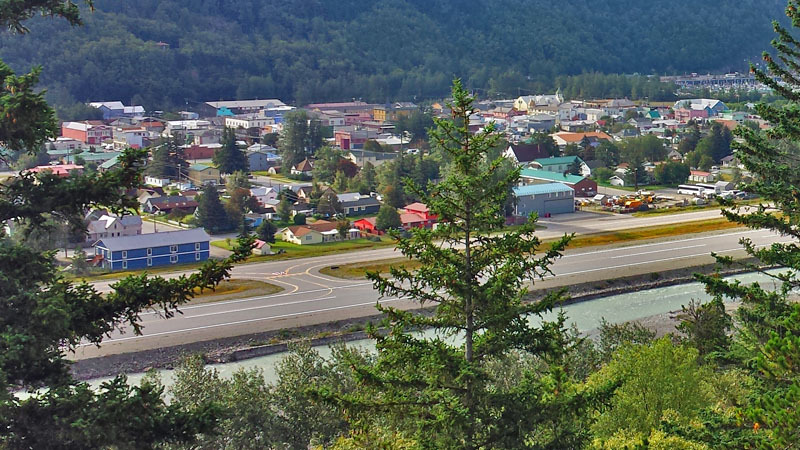 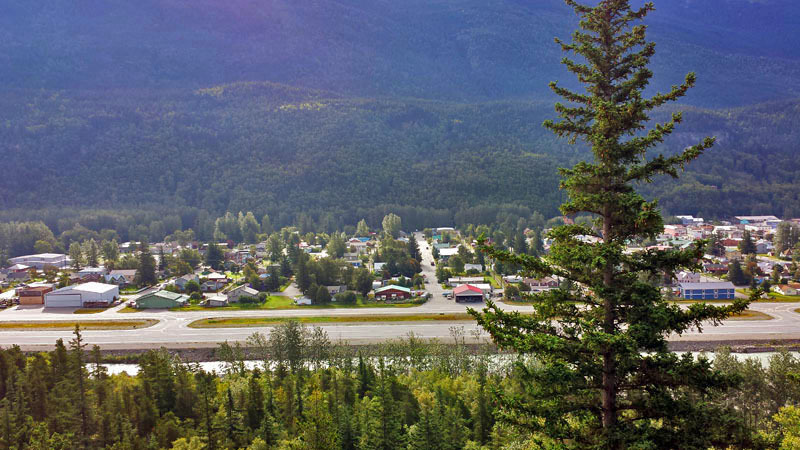 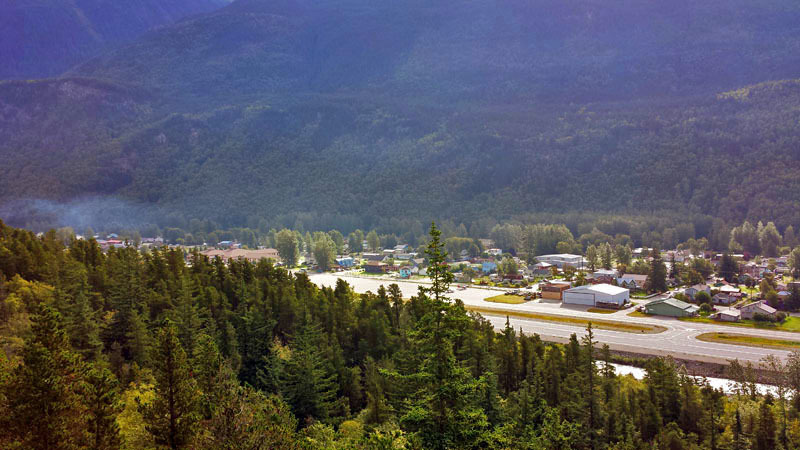 Juneau sits along the Gastineau Channel, with some housing opposite. 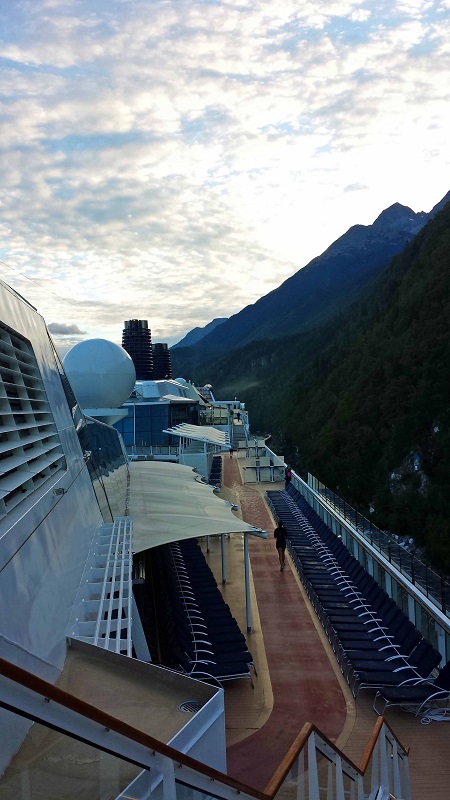 Scenic views also awaited looking straight down the channel. 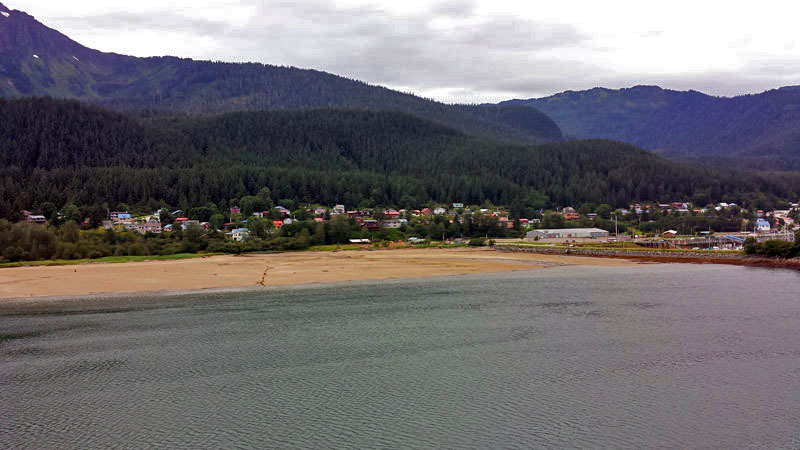 We docked for the afternoon and evening, giving us the chance to walk some of Juneau. 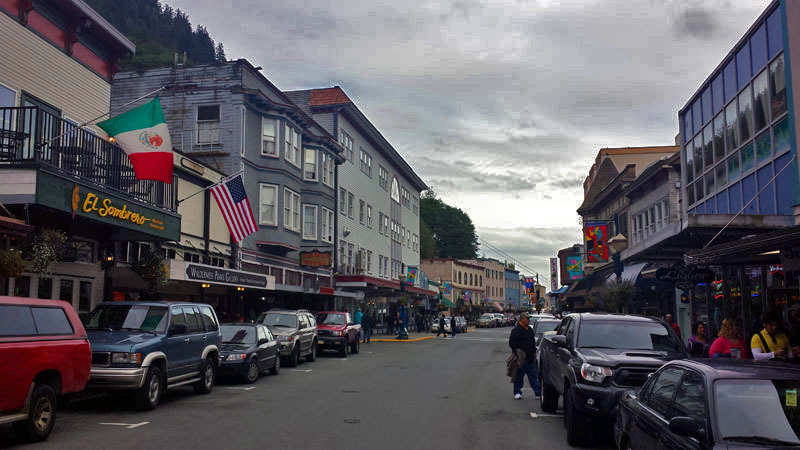 I captured some of the colorful, tourist friendly cityscape. 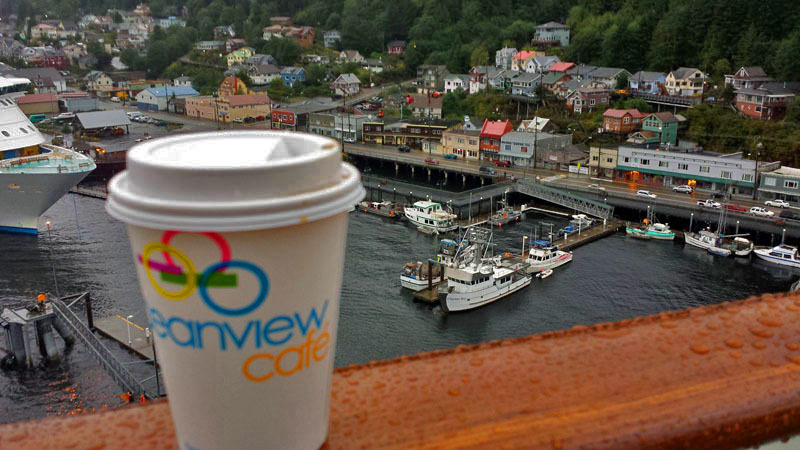 We walked to some local Heritage Coffee Roasting Company brew. 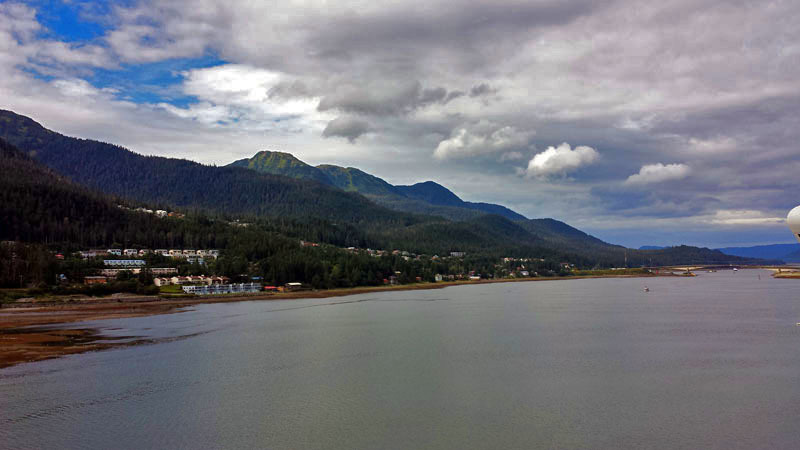 It was a fun day capturing a million skyline and cityscape looks in Juneau, Alaska. 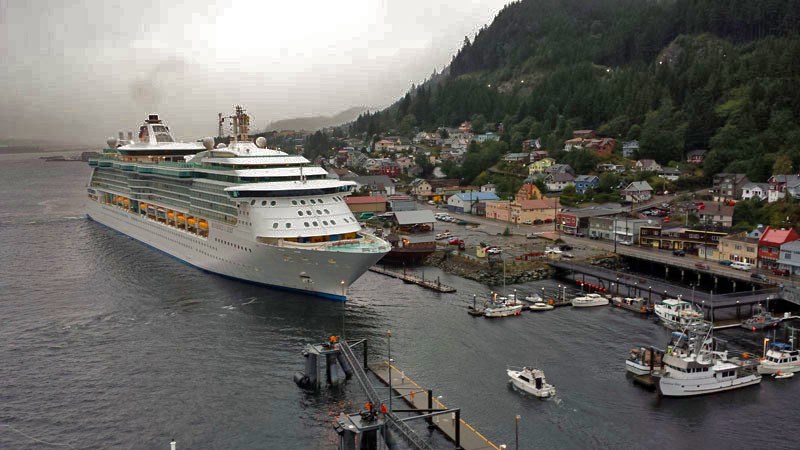 What city skylines have seen up close and captured from a cruise? 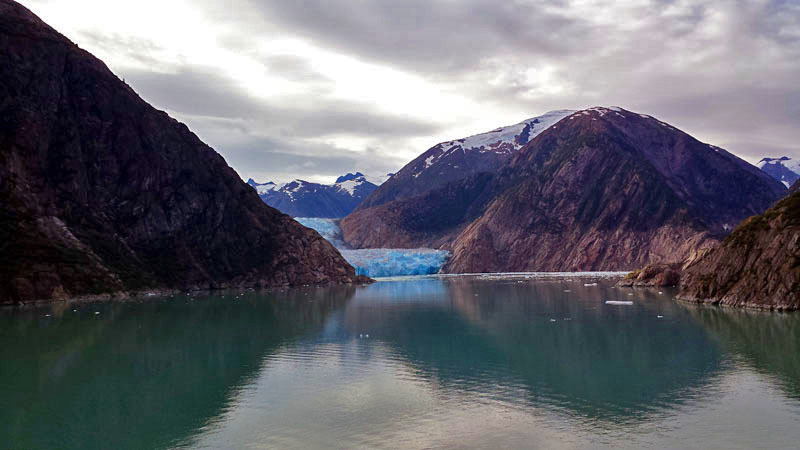 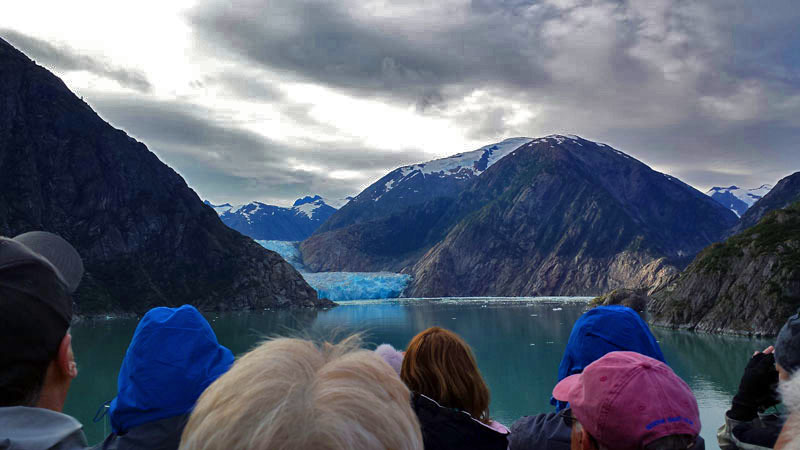 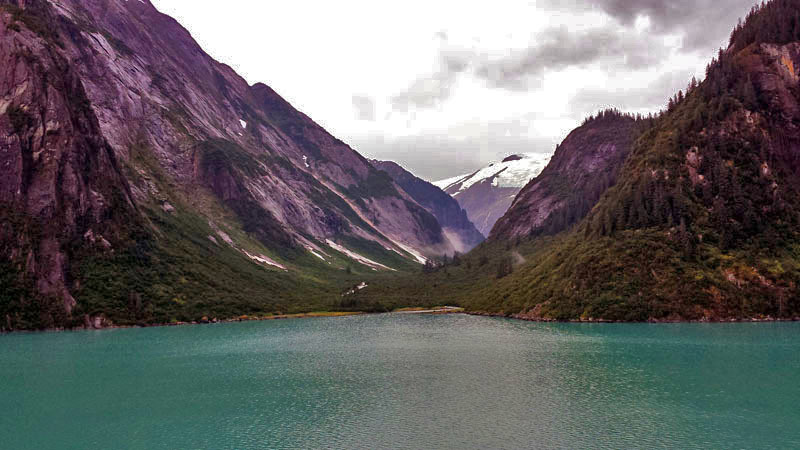 When you are on a one week plus Alaskan cruise, you are bound to experience at least one glacier along the way. 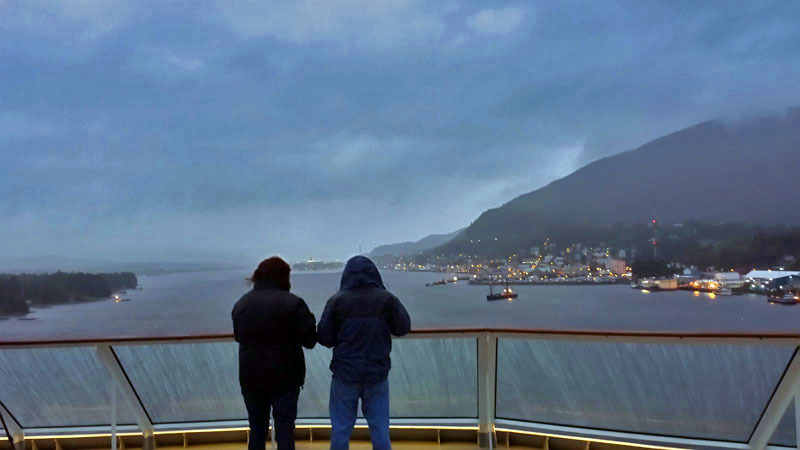 At the crack of dawn one day aboard the Celebrity Solstice cruise ship, we headed north through the Inside Passage towards Juneau. 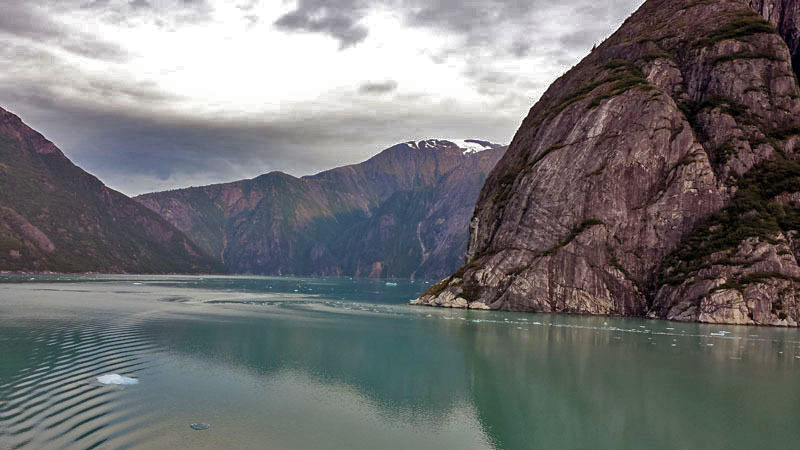 About 45 miles south of Alaska’s capital city we cut over and into the Tracy Arm Fjord. 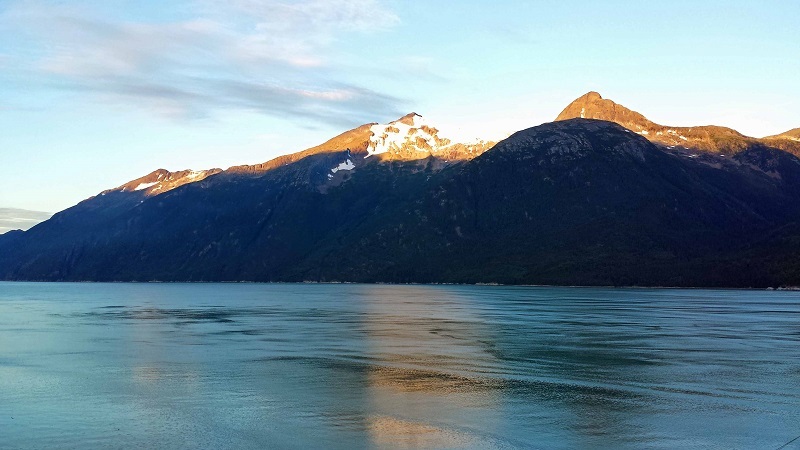 We were now on a 20+ mile journey through the fjord and its blue icy waters heading toward its apex. 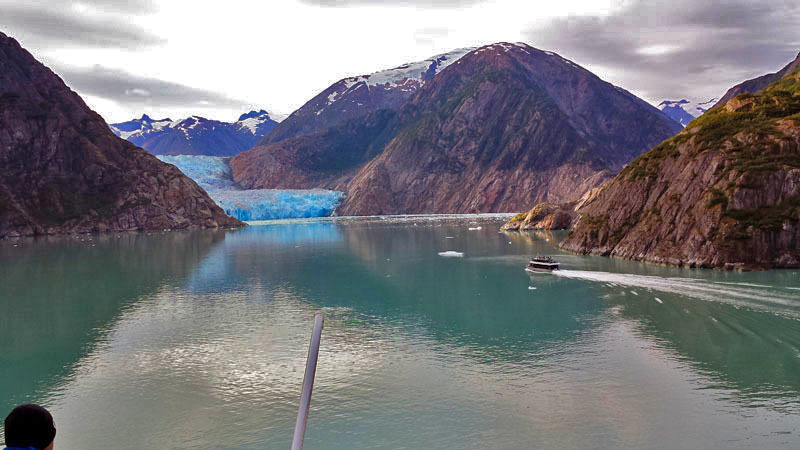 It’s there where we would have our first glacier sighting in the Sawyer Glaciers. 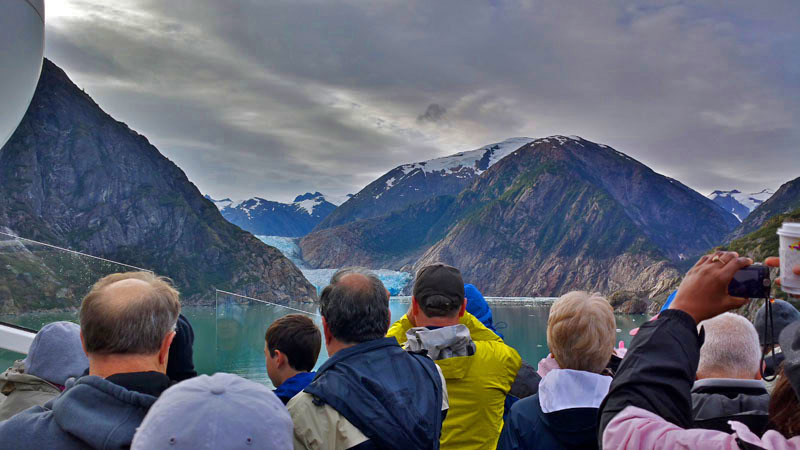 The decks filled up fast, especially at the bow, once the ship began navigating this narrow passage. 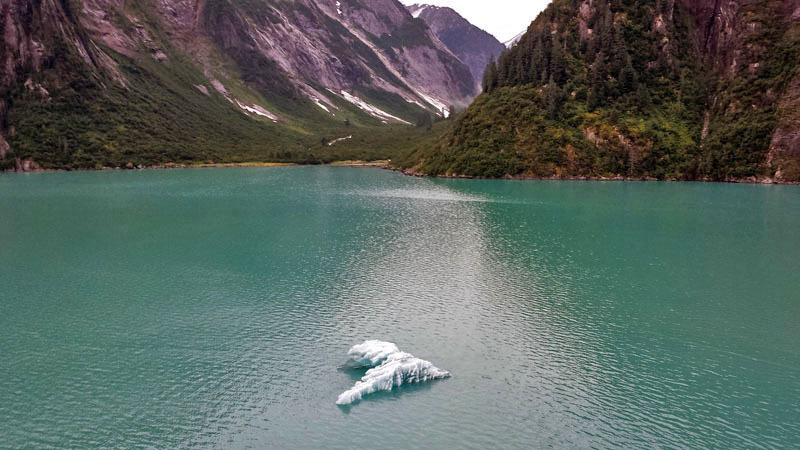 Small chunks of ice started appearing randomly floating in the water. 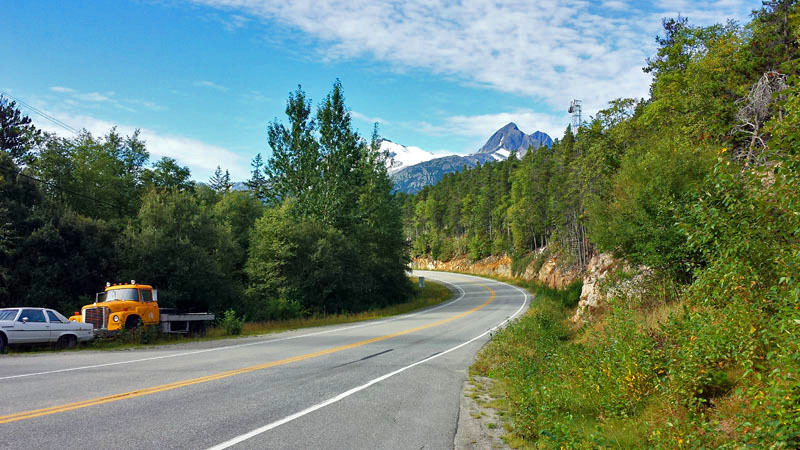 We passed by one valley after another, featuring up to 7,000 foot tall snow-capped mountains. 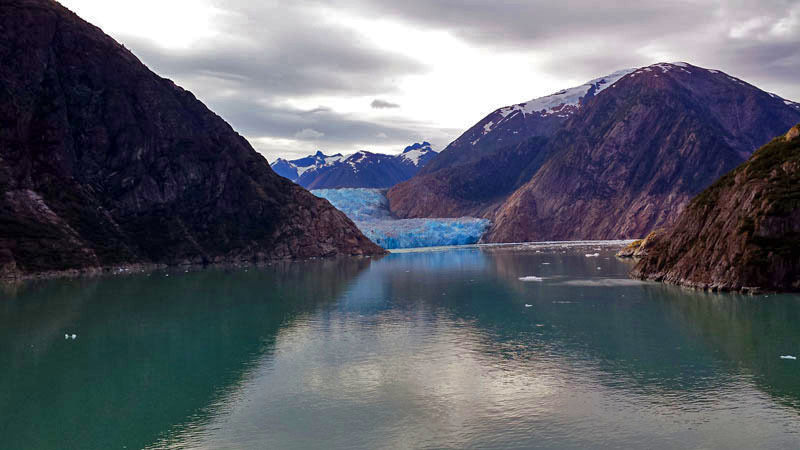 Before realizing it the face of one of the Sawyer Glaciers was right in front of us. 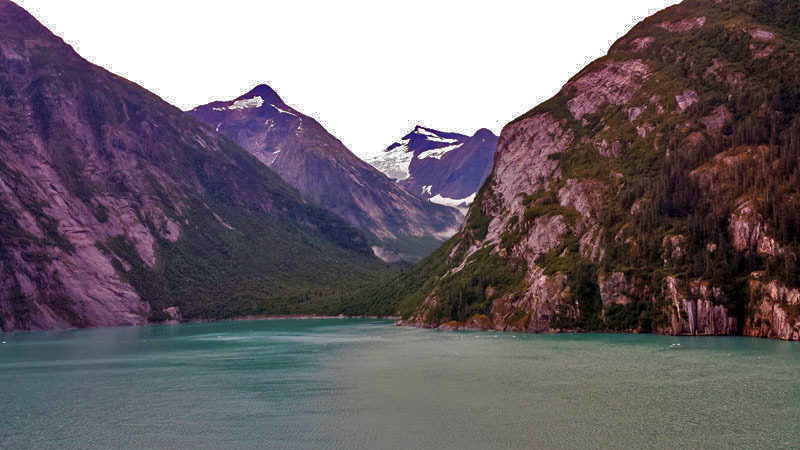 It’s vastness above the surface had me thinking. 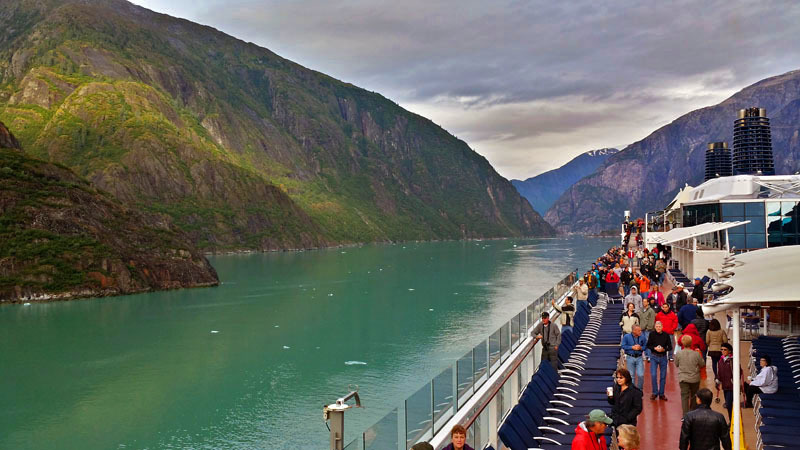 How far into the water does it go? 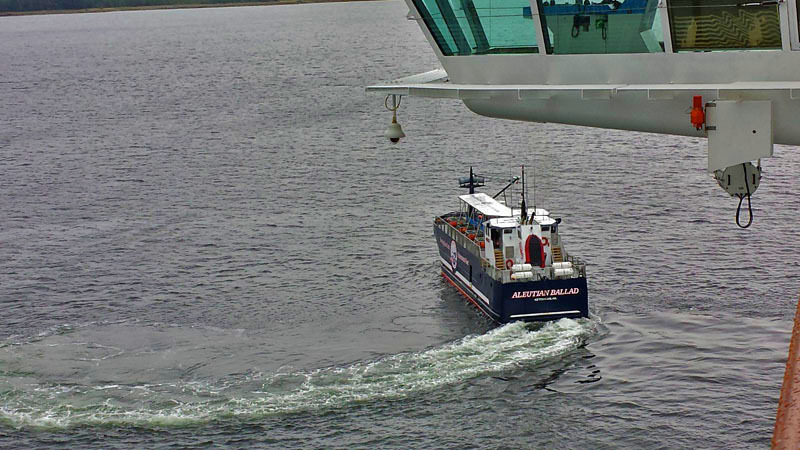 We got as close as we could safely. 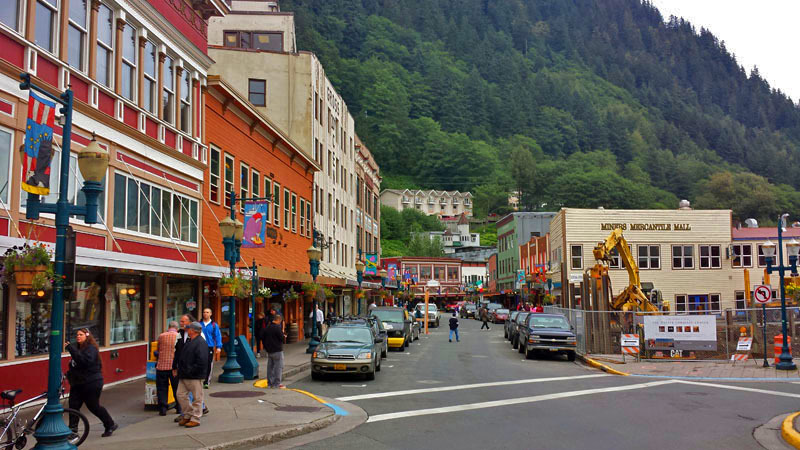 Throughout our hour to hour and a half stay I did my best to navigate through the masses. 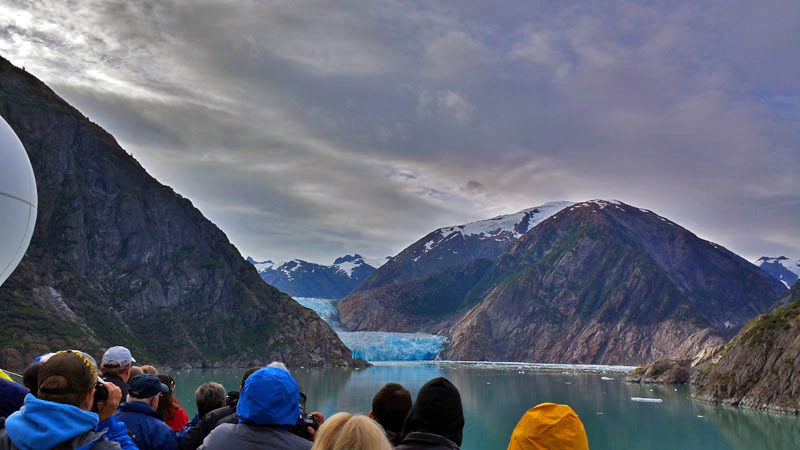 I got pretty close to the bow of the ship to capture the beautiful cobalt blue ice that lied straight ahead. 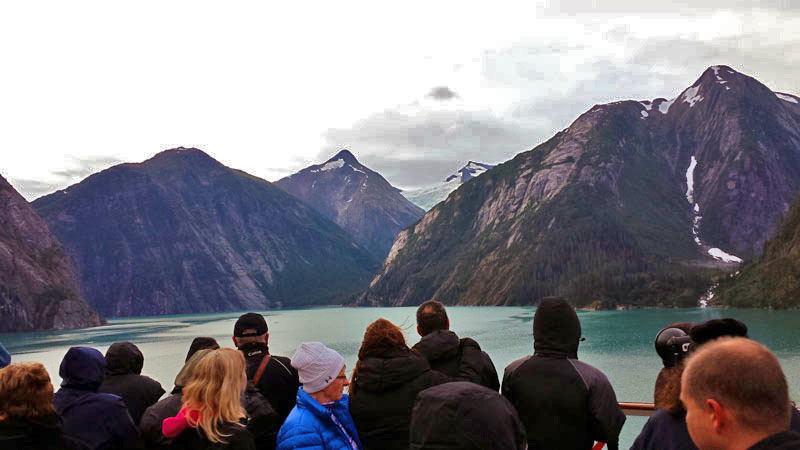 If you look carefully you can see a group of people out on the open water in a small tour boat getting a closer look. 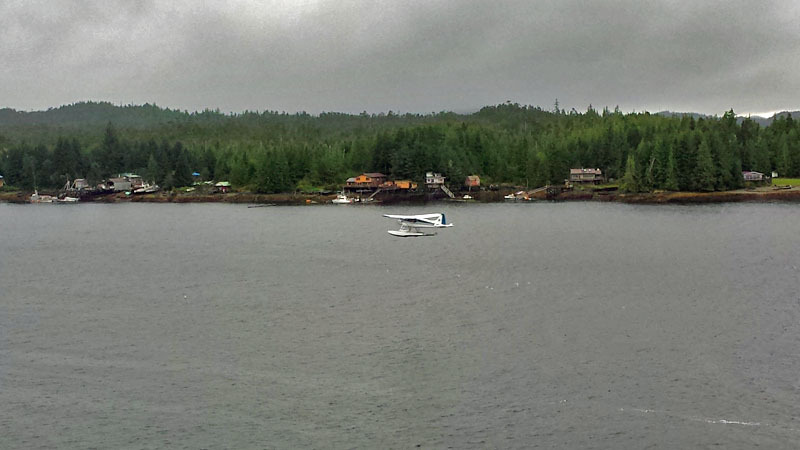 This excursion took off from our cruise ship. 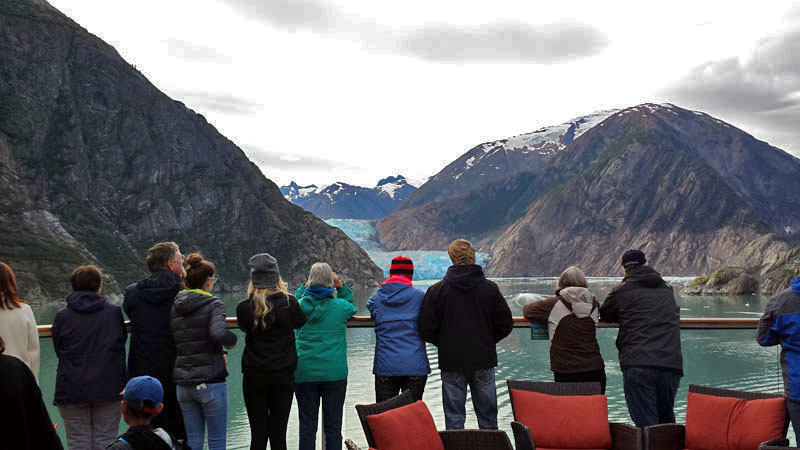 I wonder the views they must have gotten?! 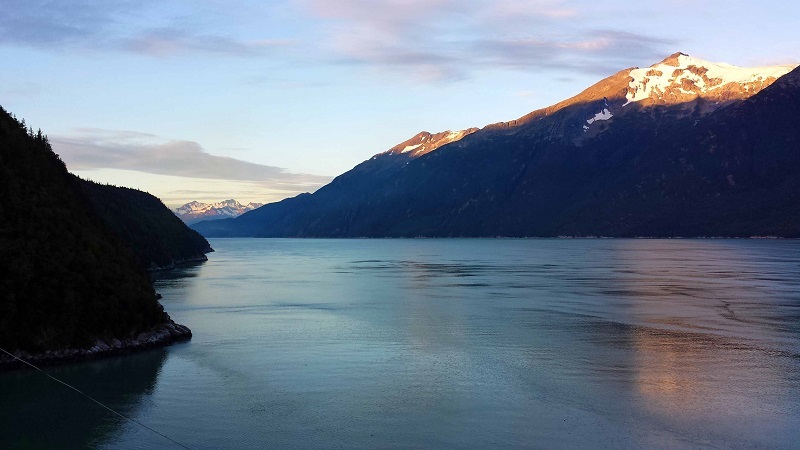 Tip: If you are there in the warmer months, you might run into some seals and their newly born pups. 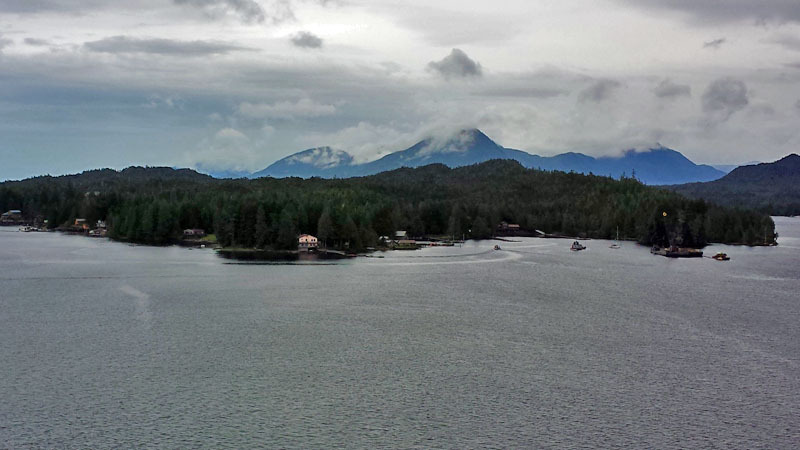 No sightings for me unfortunately. 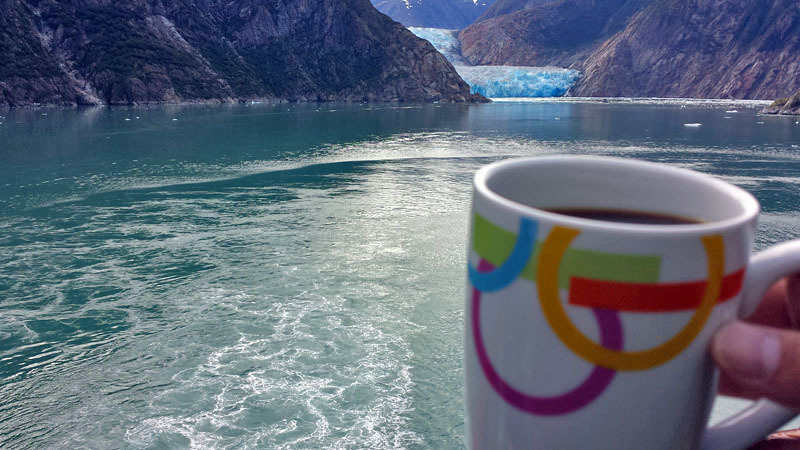 Being it was the early morning, it meant lots of coffee consumption while checking out the Alaskan beauty. 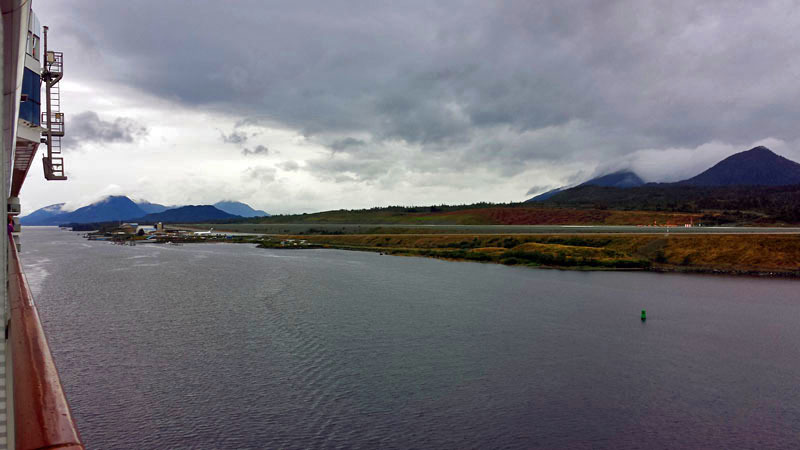 In fact, we would later go on to see the Mendenhall Glacier also around Juneau. 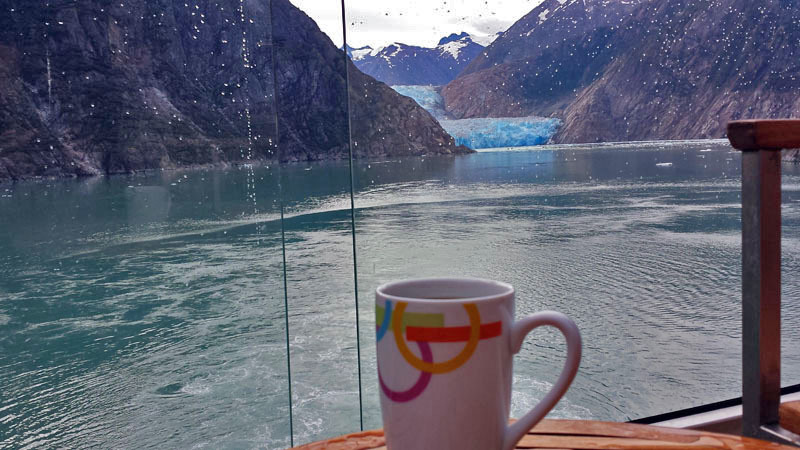 Two glaciers in one trip! 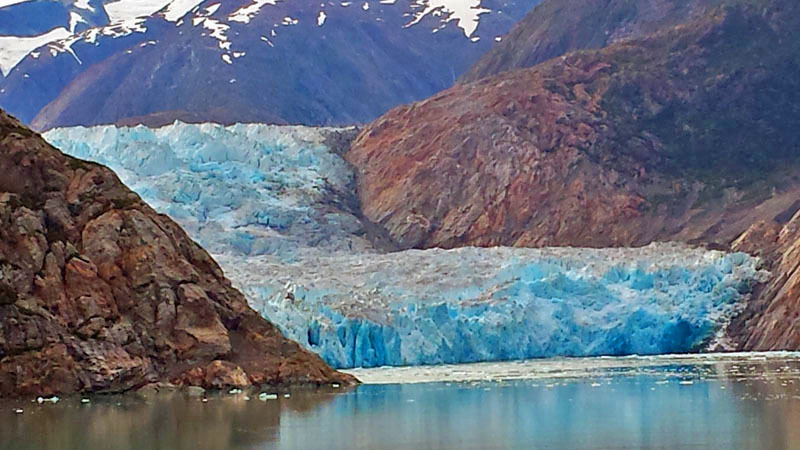 This mornings Alaskan adventure that brough us to the Sawyer Glaciers was a memorable one. 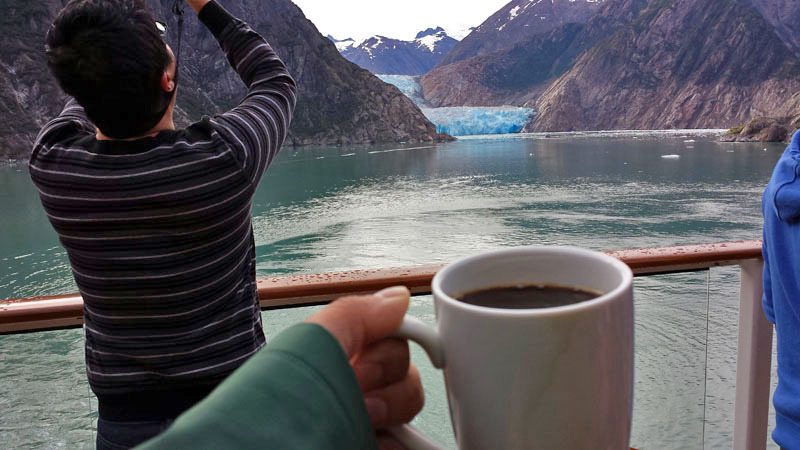 What are some memorable stops you’ve made on a cruise? 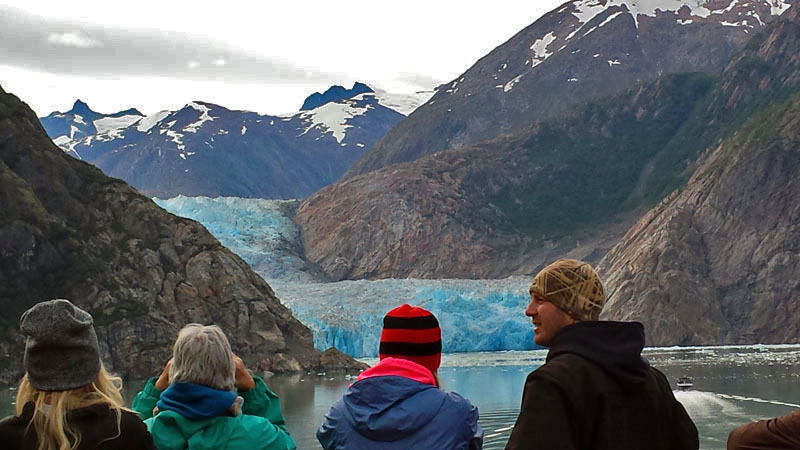 Have you had a chance to see a glacier up close? 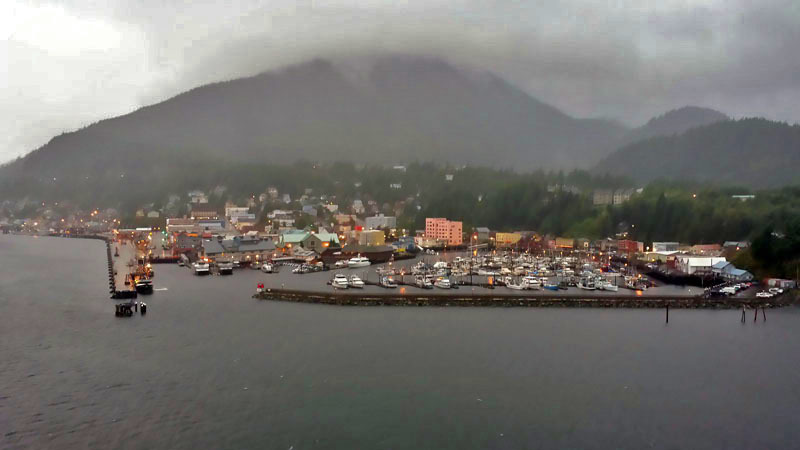 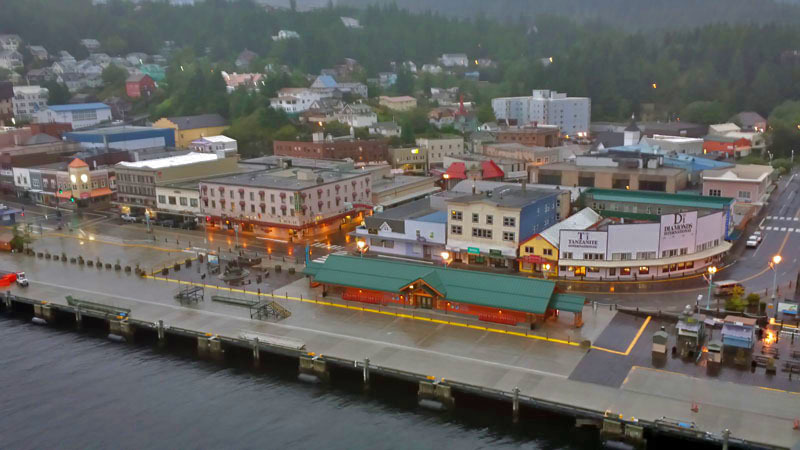 Ketchikan is a small fisherman town within the Inside Passage of Alaska and a popular stopping point for cruise ships. 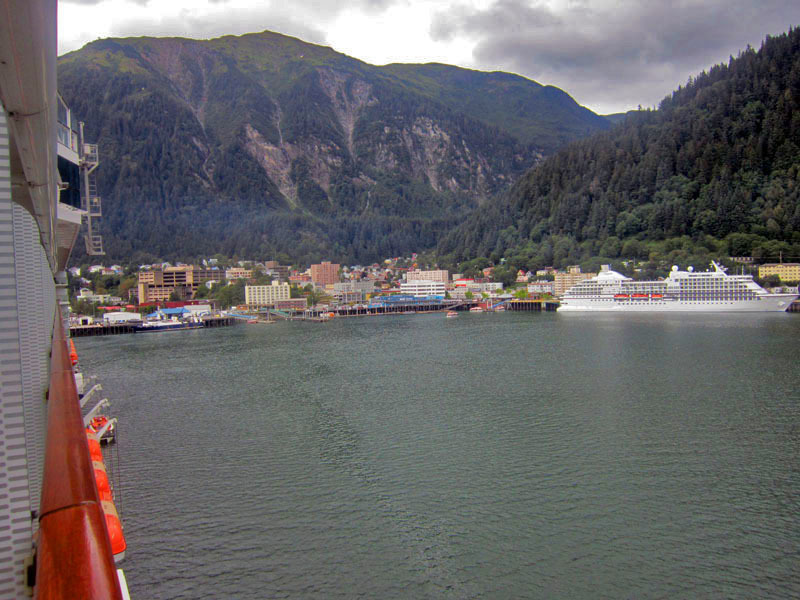 It was the first port of a Celebrity Alaskan Cruise I went on a while back. 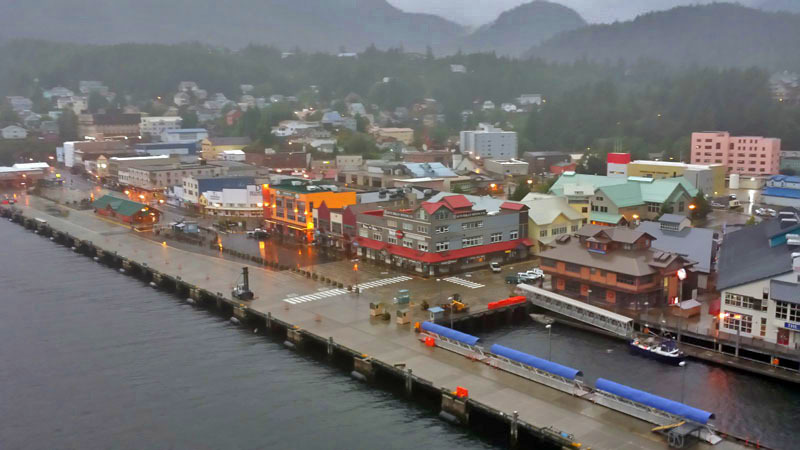 Being the first stop a lot of people were ready to get off the ship, walk the town and go on excursions. 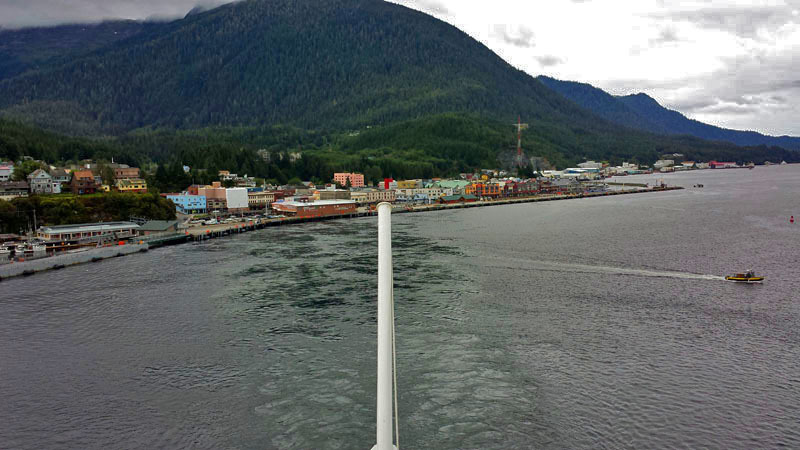 I was surprised how few people there were as we came into and also when we left port. 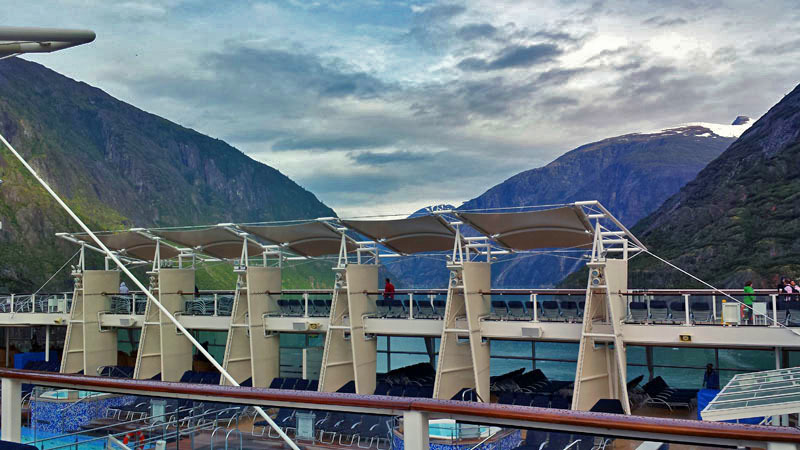 Being me I ran quickly from one side of the ship to the other and from the front to the back. 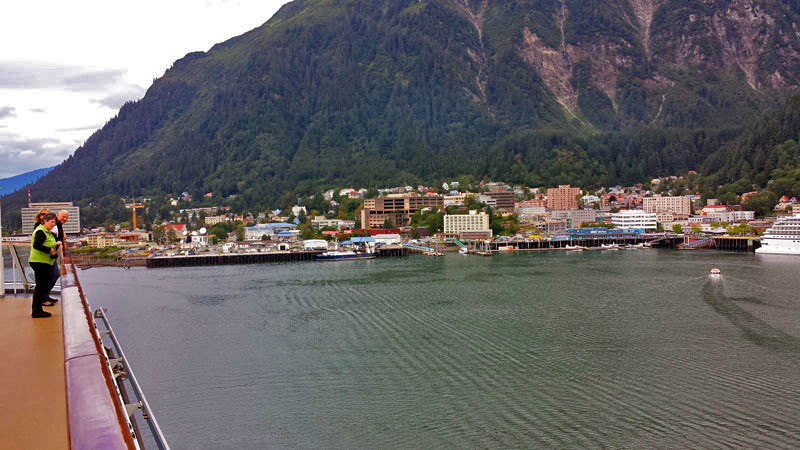 I wanted to capture the town and its surroundings. 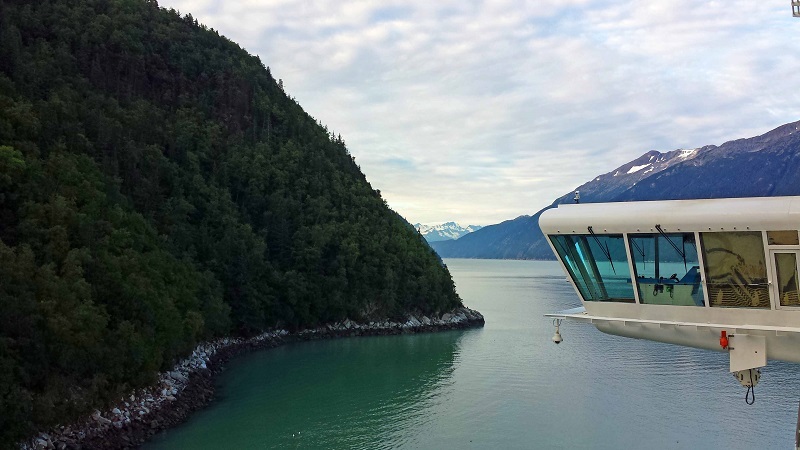 This felt like an excursion in and of itself. 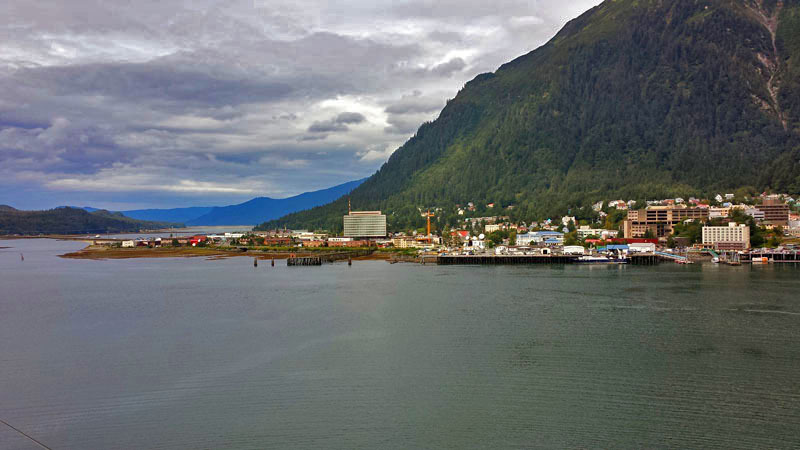 As we came into town in the morning, it was cool and overcast which was the norm. 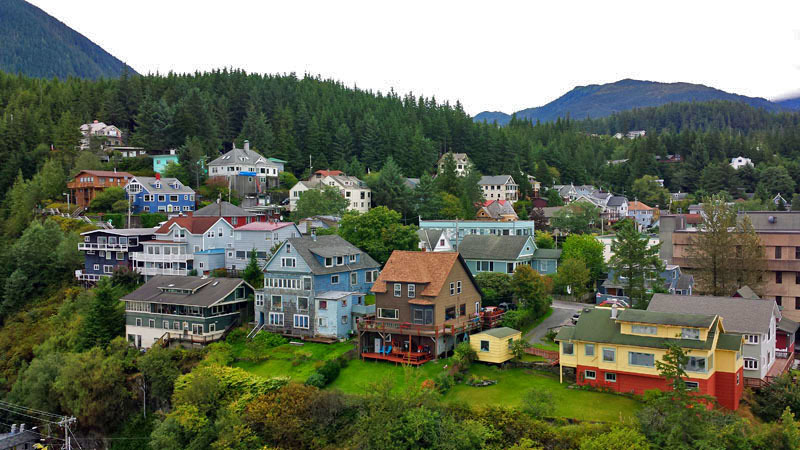 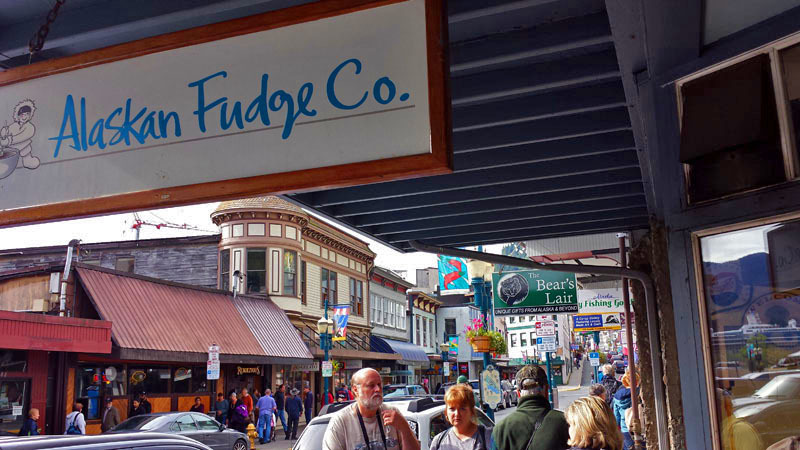 I got my first taste of the colorful buildings and houses that make up Ketchikan. 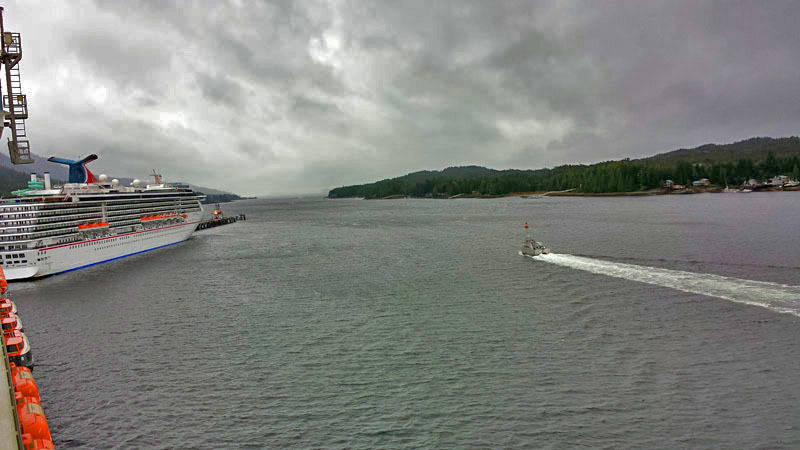 …to out on the open water. 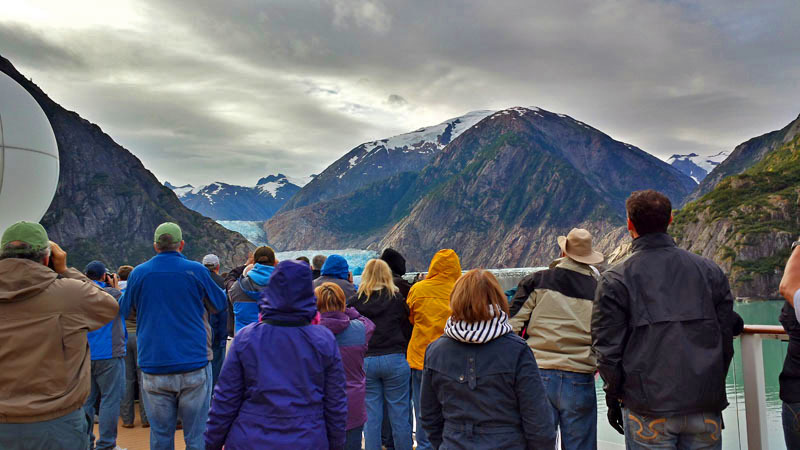 The Aleutian Ballad Is part of the Bering Sea Crab Fisherman’s Tour, one of the more popular tours in all of Alaska. 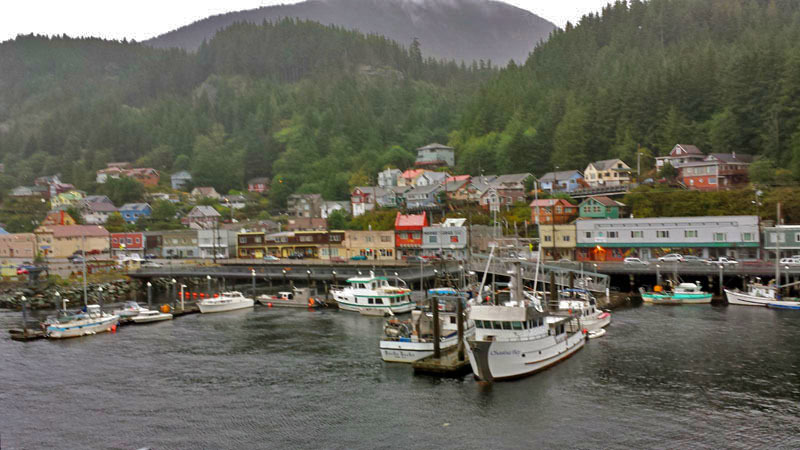 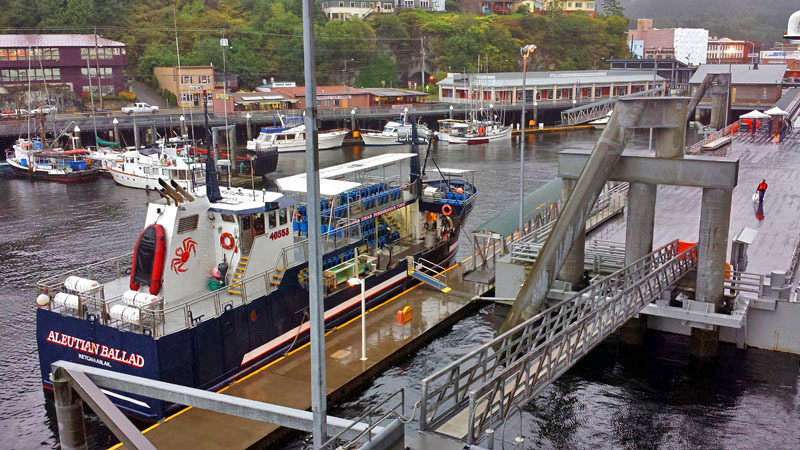 Speaking of fish, Ketchikan is known as the salmon capital of the world. 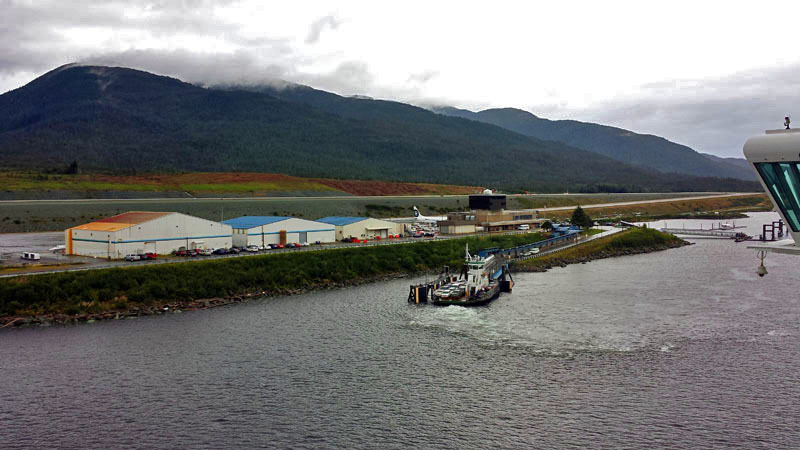 Besides boats, I watched seaplanes take off and land on the water and cars take the ferry across the Tongass Narrows over to Ketchikan International Airport, as there is no land access. 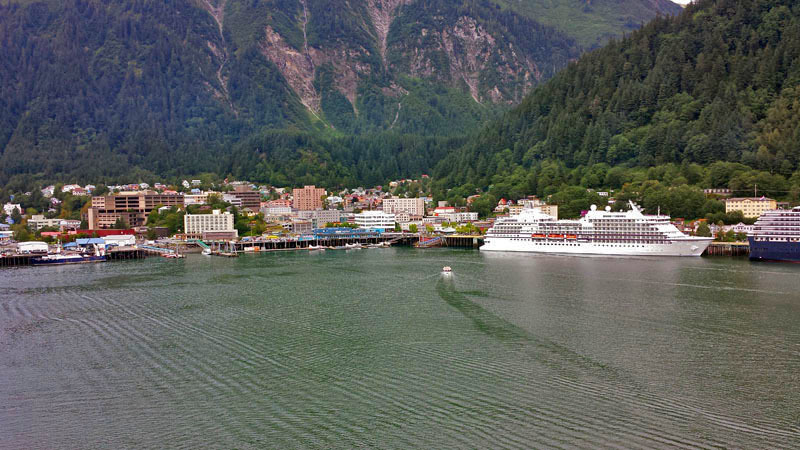 The air and water are the two ways people can get into town. 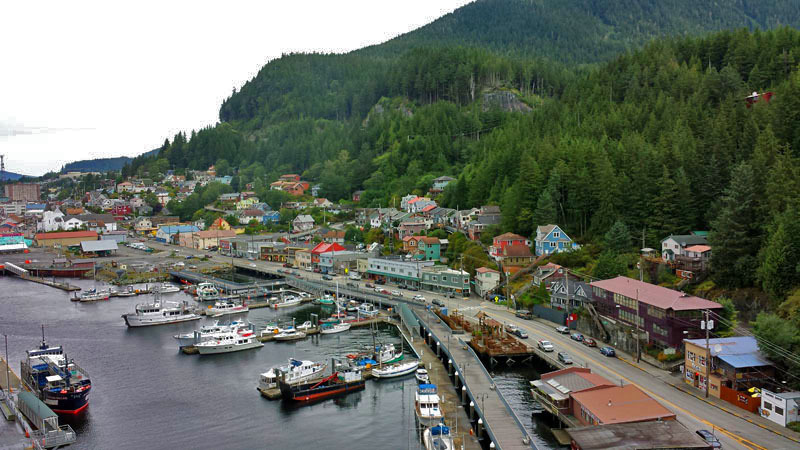 There is no road access to the outside world from Ketchikan, which resides on Revillagigedo island. 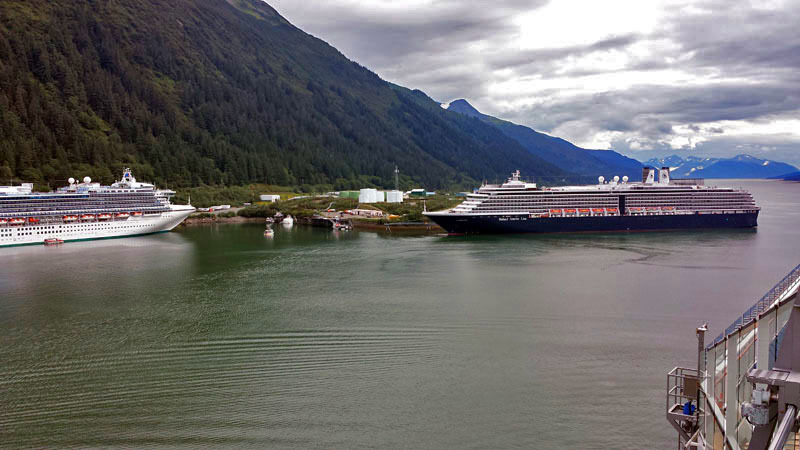 Being the first major cruise ship destination coming from the south there were other large ships docked. 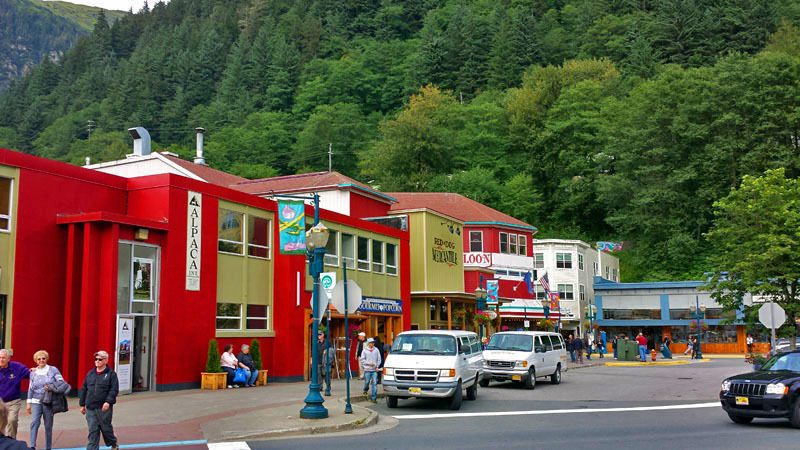 I can’t get enough of looking at the colorful fisherman village style buildings that make up the town. 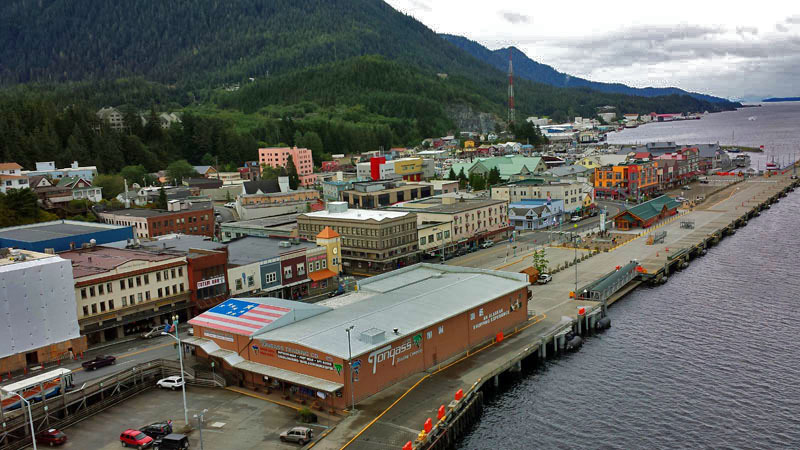 The tan, expansive building with the American flag on top is the historic Tongoss Trading Co. Their ideal location right along the docks, led me and scores of other tourists into picking out various Ketchikan and Alaskan souvenirs. 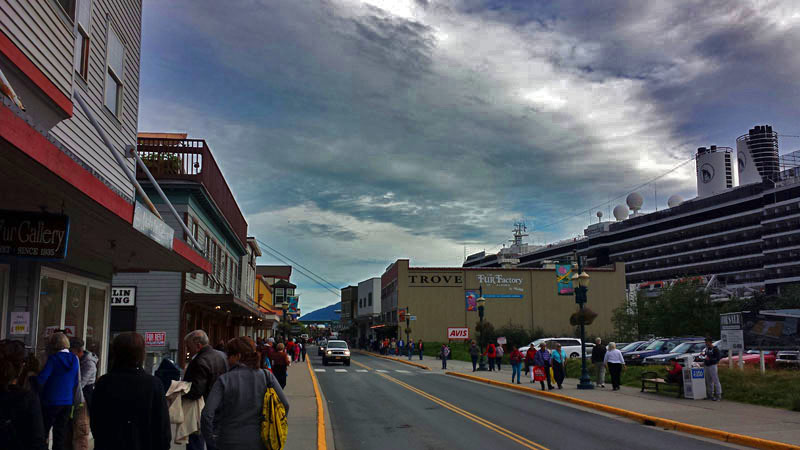 For locals, sports gear, furniture and apparel are aplenty throughout. 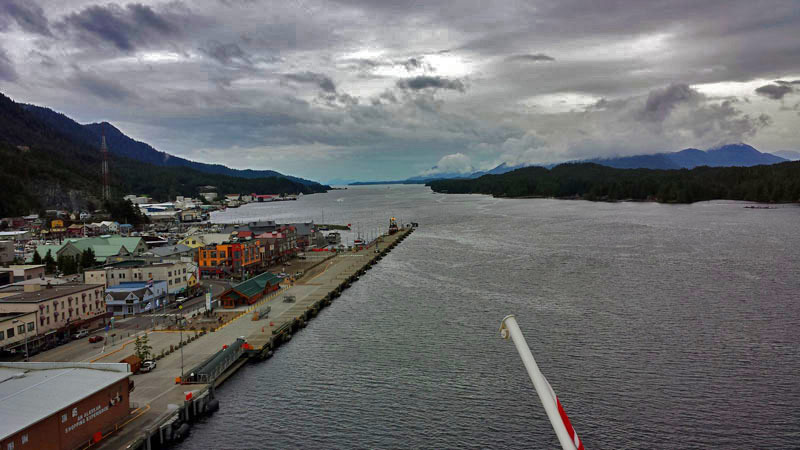 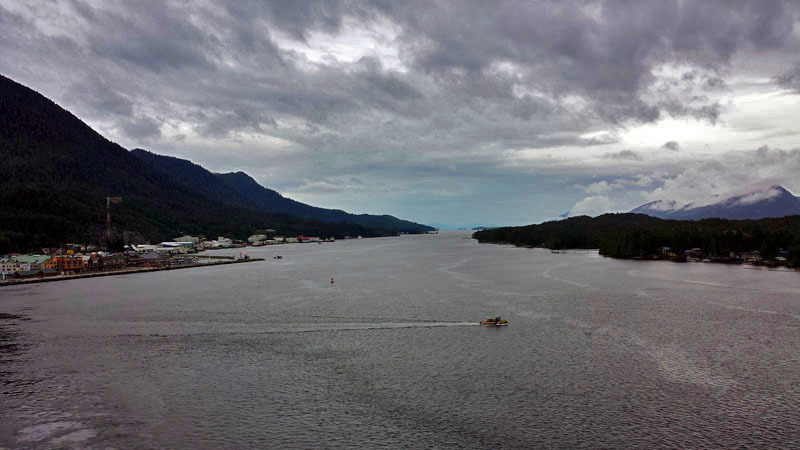 The capturing continued as our stay in Ketchikan ended and we started heading north, getting further and further out. 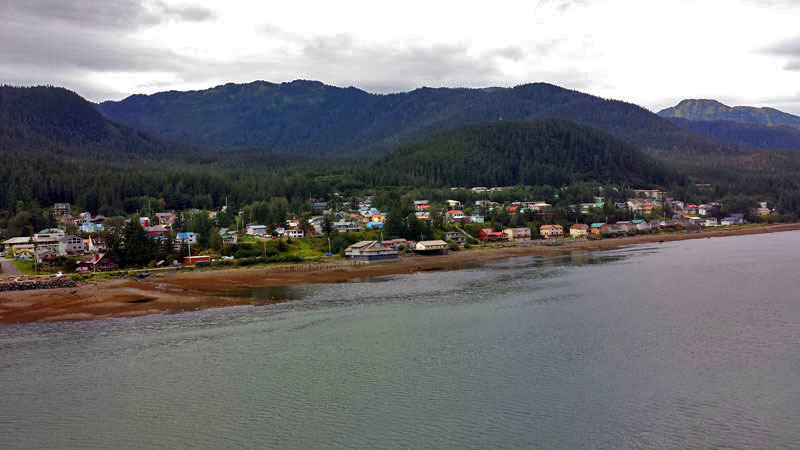 I made sure to look up and out all long the way as Ketchikan is surrounded by the Tongass National Forest. 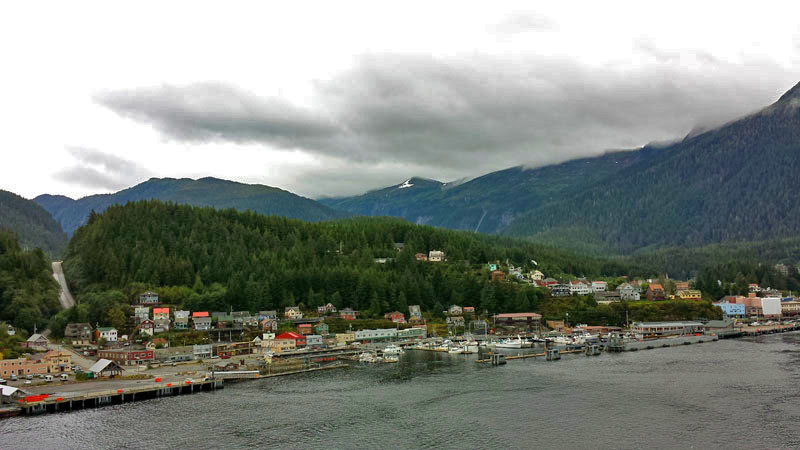 I previously posted about the scenes I was welcome to on a dawn arrival in Skagway, at the top of the Inside Passage. 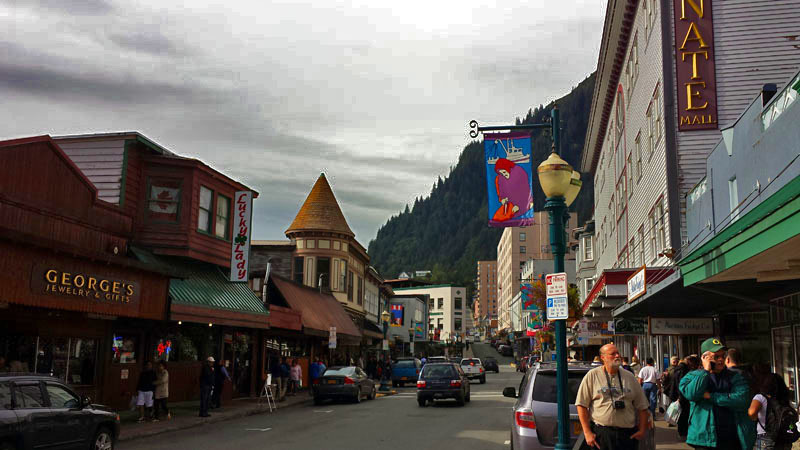 Stay tuned as in-between our Alaskan journey brought us into the capital city of Juneau. 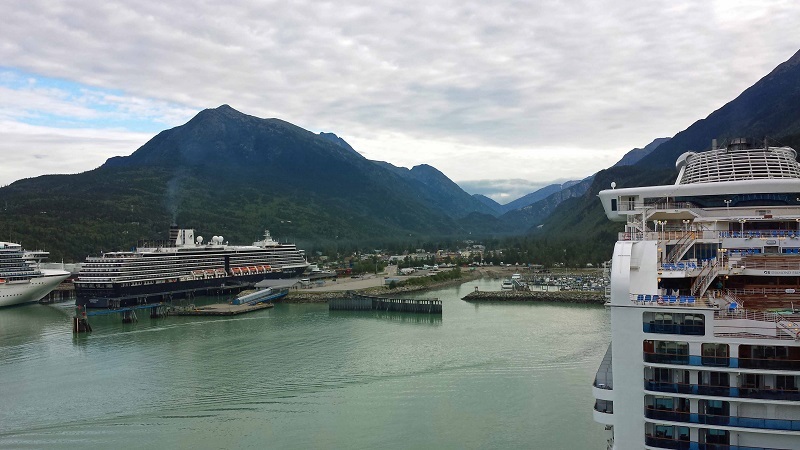 Are there any scenic places you visited on a cruise that got your camera out coming into and leaving port? 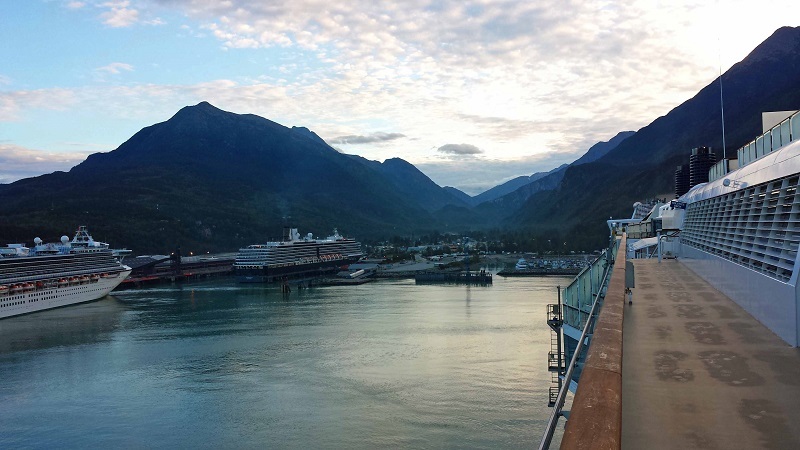 Alaska: A Dawn Arrival in Skagway. 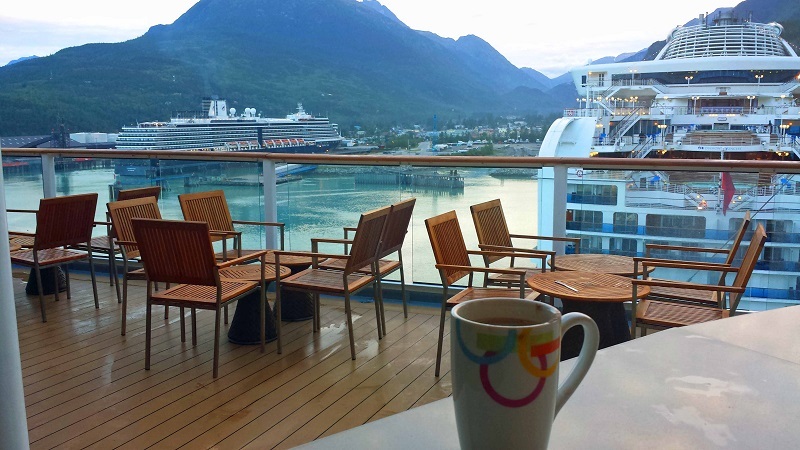 One of the best things when on a cruise is pulling into port, especially around sunrise. 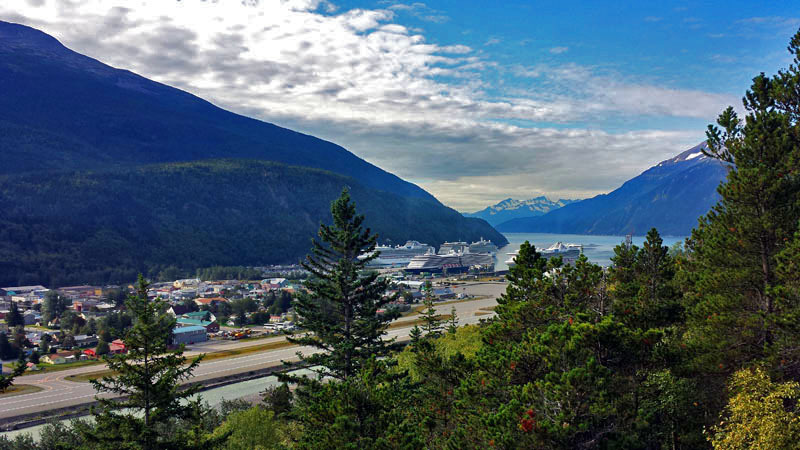 It’s the beginning of a new day and you’ve arrived at a new place like Skagway, Alaska. 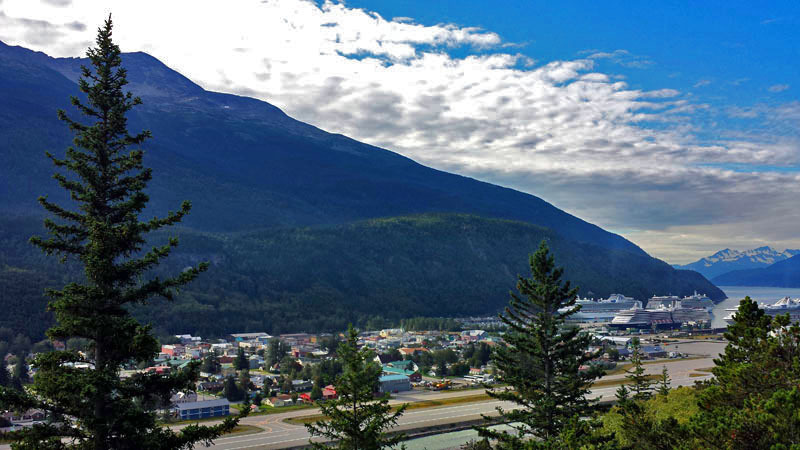 Skagway is a historic gold rush town that sits at the top of the Inside Passage and panhandle of Alaska near the border with Canada and the Yukon. 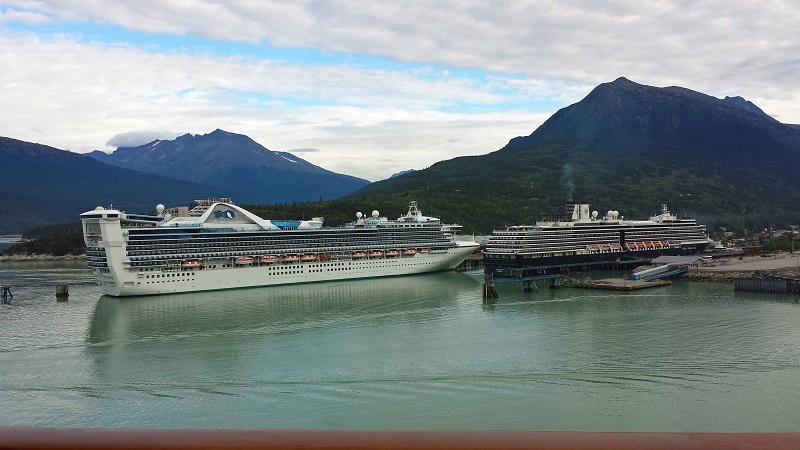 We weren’t alone as it was summertime at the heart of the Alaskan cruise season. 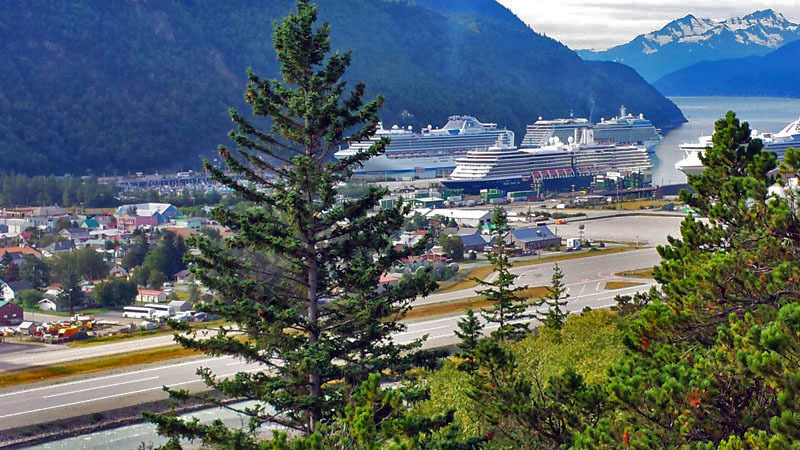 The town population of 900 doubles this time of year with tourism traffic. 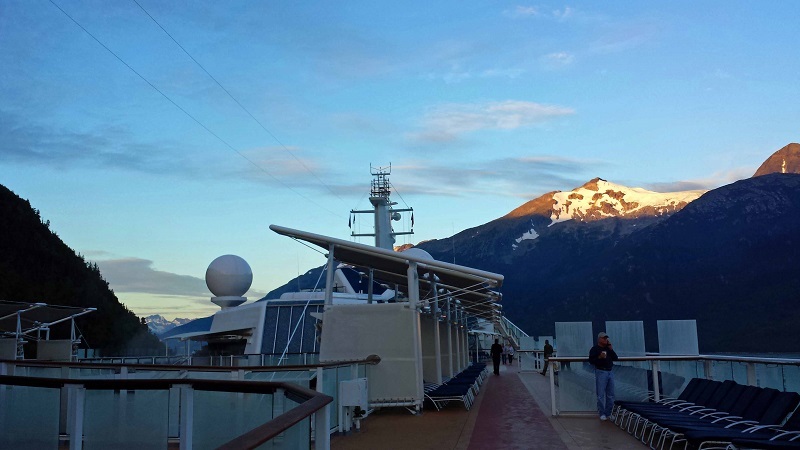 Walking up-top the Celebrity Solstice in port we enjoyed the calmness of the Taiya Inlet waters and the early morning light shinning on the snow-capped mountains. 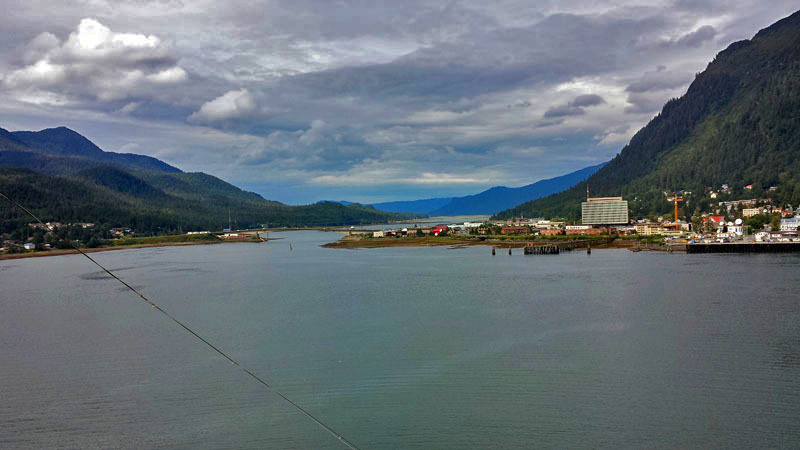 Well it was time to get off the ship and head for some rafting fun on the Taiya River. 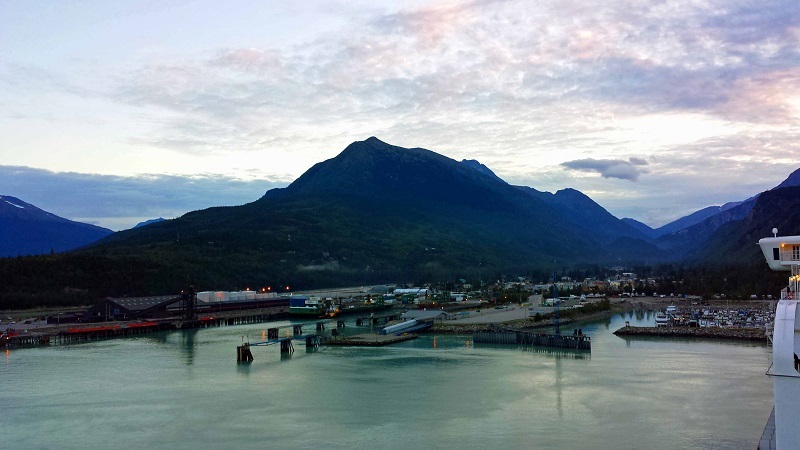 What a great first taste of Skagway, Alaska though by pulling into port at dawn. 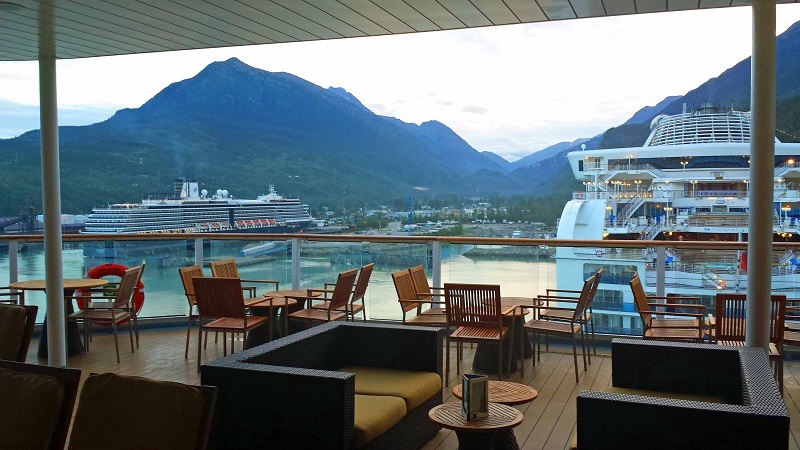 What ports have you enjoyed pulling into when on a cruise? 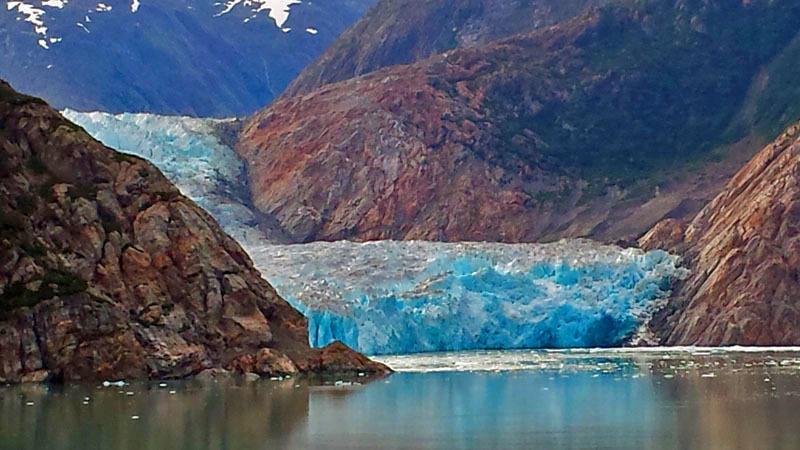 Any Alaskan favorites?